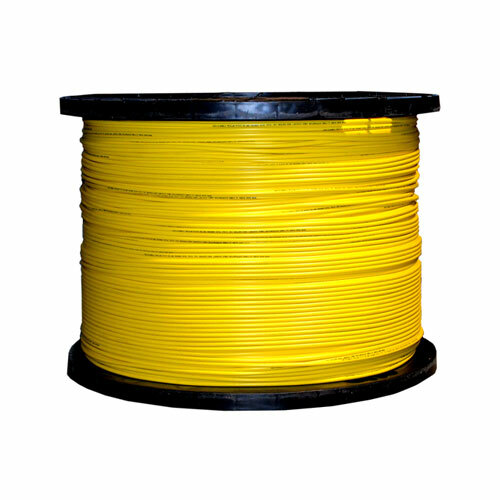 This is a yellow 1000 foot spool of Zipcord fiber optic cable intended for large installations where you are completing the terminations. It is a singlemode fiber (9 micron core) designed to transmit data across long distances at high speeds. Single mode fiber is optimized to work with fiber optic equipment using light wave lengths of 1310nm (nanometers) or 1550nm. The cord is duplex (two fibers) which means it permits synchronous communication between devices. The cladding diameter is 125 microns.